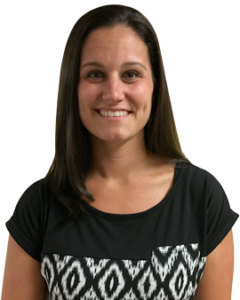 Christina LaHann joined the Children’s Community School staff in 2018 following two years of substitute teaching for the school. She is co-teacher in the Blue Class. Due in part to her mother’s career in foster care, early in her life Christina developed a passion for teaching and helping young children to develop and grow. She has an associate’s degree in Early Childhood Education from Waukesha County Technical College and completed two years of internships in the county exploring different methods for educating children. She was the lead teacher in the three- and four-year old classroom at Little Scholars in Stevens Point for five years. Christina has two daughters; one is a CCS alumni and one is a current student. In her free time she enjoys cooking, camping, going for walks, spending time with her family and hanging out with her two Great Danes! Seeing the excitement on a child’s face as they grasp a new concept or skill is truly rewarding. The amount of love and support that is shown tot he families at CCS is wonderful, and there is truly a sense of community in this school.